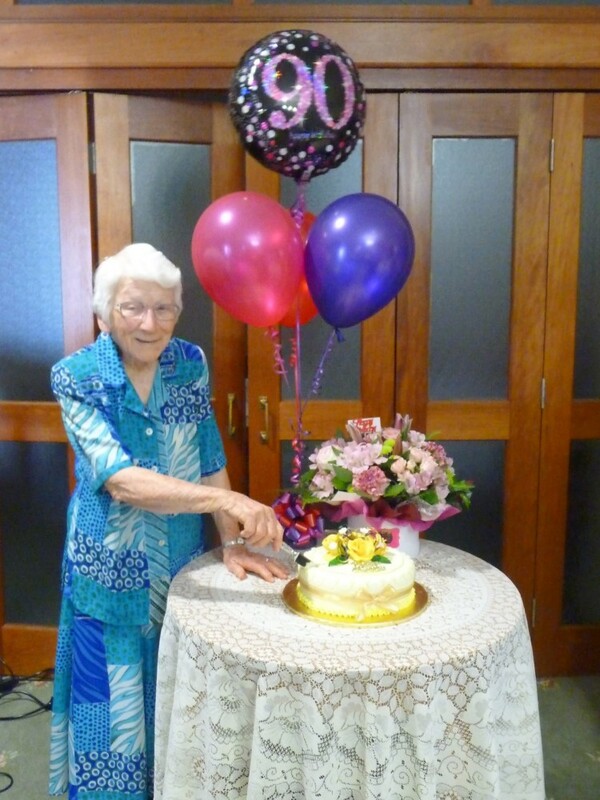 Sr M Andrina cuts her 90th birthday cake at morning tea on 23 September 2018. On Sunday 23 September 2018, the Sisters of Mercy gathered at The Range to celebrate two very important events. Firstly it was the 90th birthday of Sr M Andrina Ryan, and secondly, the next day was Mercy Day – recently celebrated by Sisters of Mercy in commemoration of the opening of the first House of Mercy in Baggot Street, Dublin, by Catherine McAuley on that date in 1827. The Sisters were delighted to be joined by members of the Ryan family and Mercy Associates for the dual celebration. Patricia Jane Ryan was born in Rockhampton, the first child and only daughter of Jane and Philip Ryan who lived at Kalka, North Rockhampton. Three brothers completed the Ryan family, namely Philip, John and Peter (recently deceased). Educated by the Sisters of Mercy at St Mary’s Primary School, North Rockhampton, and then at the Range College, Sr M Andrina entered the Sisters of Mercy on 27 November 1946 and was professed on 22 January 1950. 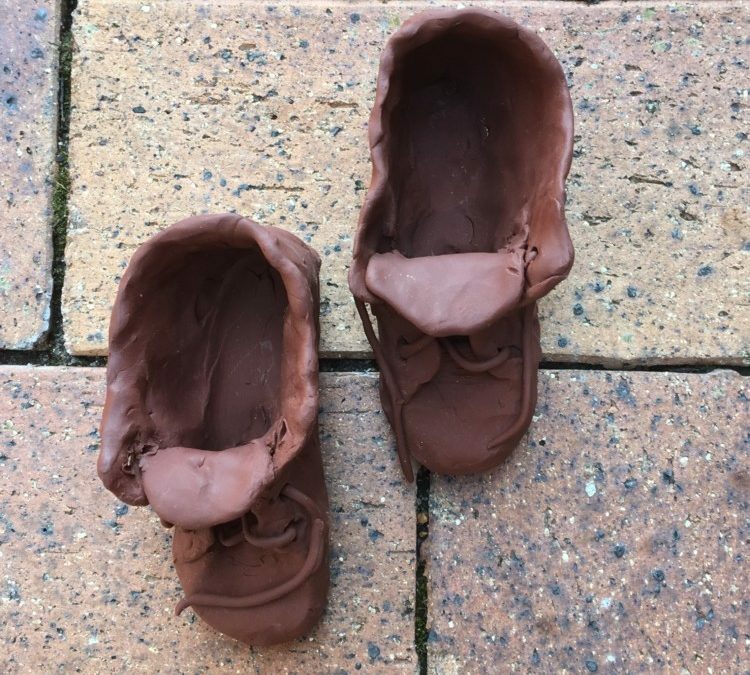 A symbol on the prayer space was a small pair of shoes, shabby, well-worn and symbolic of the ‘walking sisters’, the name given to the first Sisters of Mercy as they trod the streets of Dublin. In that same spirit of Catherine McAuley and the early Sisters, Sr Andrina has followed their example and has trod many miles or kilometres in her life and ministry as a Sister of Mercy. A well-known catch-cry is: ‘A Sister of Mercy is always on mission’ and Sr Andrina personifies this statement. She is ‘always on mission’! Throughout her life, Sr Andrina has ‘trod the boards’ in different places: Walkerston, Koongal and Neerkol, but mainly her name is synonymous with the Range College where she spent a total of 22 years in various roles: teaching, boarding supervisor, religious education coordinator and finally, in 1987, she was the last Sister of Mercy to be Principal. ‘Ryan House’ at The Cathedral College is named in her honour. At the initiative of the Principal of The Cathedral College, Mr Rob Alexander, Ryan House honoured Sr M Andrina’s 90th birthday with a pre-birthday afternoon tea, held in the Stoneleigh Parlour at the Range. 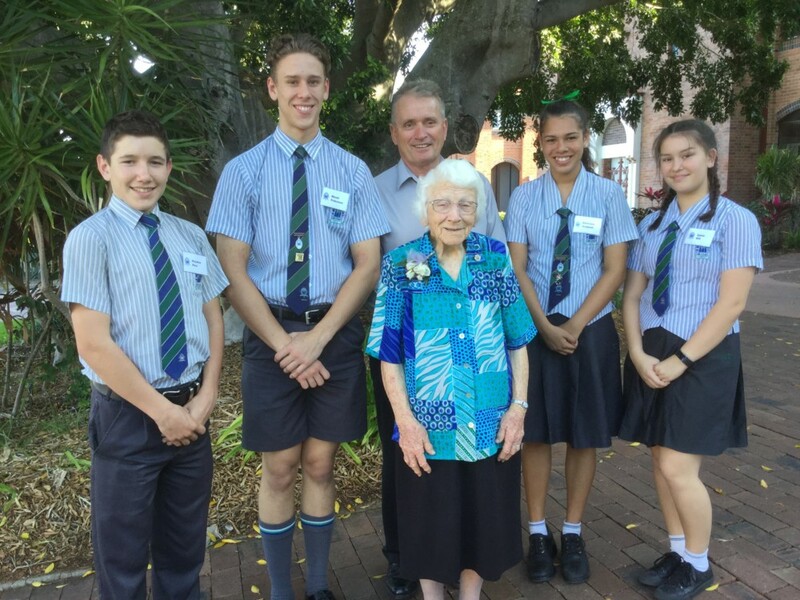 Pictured with Sr M Andrina is Dean of Ryan House, Mr Bernie Parle, with Captains Rhett Petersen and Emerson Godwell and Middle School Captains, Hayden Row and Iyana Hill. After being at the Range, Sr Andrina’s ministry took a different direction as she walked the hallways of the Rockhampton Mater pastorally caring for the patients. Then in retirement, she was a faithful weekly visitor to the Base Hospital and a communion minister to some parishioners unable to attend Mass. In every place where she has lived and worked, she has been tireless in reaching out to the countless past-pupils of the Range, their parents, the sick, the suffering and those in need. Sr Andrina is always intent on helping and taking care of everyone: family, Sisters and friends. Like so many Sisters of Mercy, she has spent her life, pouring out compassion and mercy to many people. With this in mind, we prayed in thanksgiving for Sr Andrina’s long life, her many gifts, her selfless spirit and her widespread influence on many people from all walks of life.